Hi all, I hope by now you've ordered your Stamp of Approval collection. If you have, Awesome! 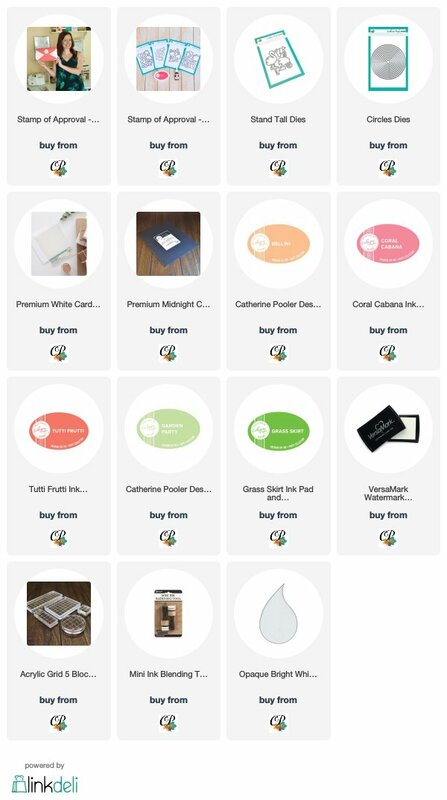 I bet those boxes will start arriving on your door steps today and your projects will be popping up all over social media just in time for the weekend. My post is perfectly time to inspire you further! I don't usually gush about my own cards, but I love this one so much. I haven't shared it yet because I used circle dies, which are NOT included in the collection. I didn't want to confuse anyone! Flamingos are one of my favorite animals. As a child, I spent hours taking in their beauty at the zoo. 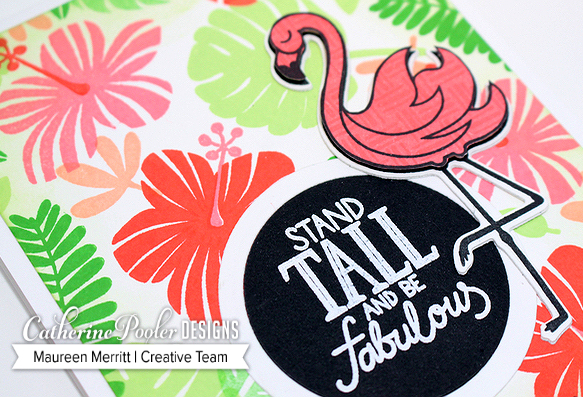 I'm thrilled that we now have flamingos in the CP product line! There was one thing though...I don't color...so what on earth could I do with this line stamp? My solution, paper piece. Paper piecing is a simple technique and great for non-colorers like me. 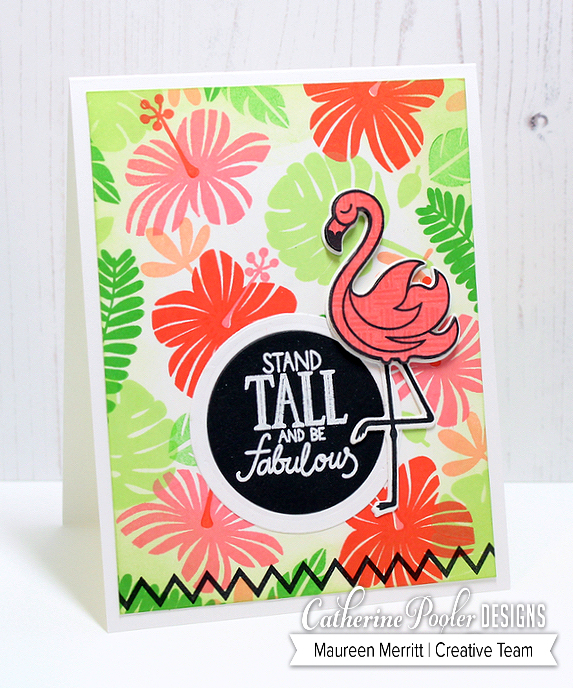 I simply stamped the flamingo on white card stock, then sponged over it with the new Coral Cabana ink. For some added texture, I stamped over the inking, also with Coral Cabana ink, with the cross-hatch border stamp from the Good Vibes Borders stamp set. I then hand trimmed the inked and sponged flamingo and layered it on top of another flamingo that I had stamped and die cut. 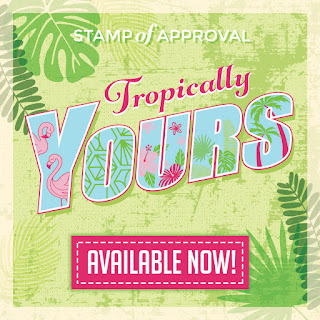 Tropically Yours is my favorite of the 13 Stamp of Approval collections. I highly recommend adding it to your stamping stash! 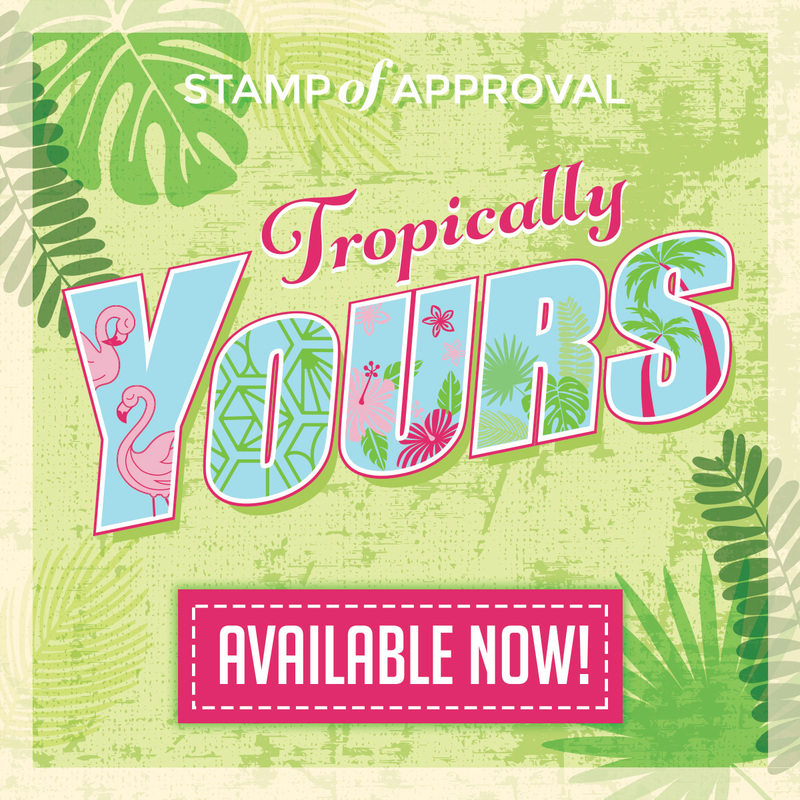 Get your Tropically Yours collection today!!! What a bright, happy card!! LOVE!! Love this one Maureen! Flamingos are also one of my all-time favs. Love how you pieced it.